The new security system volunteer Forrest Wade installed at Eagle Slough Natural Area to deter or catch illegal dumpers. Photo courtesy of Forrest. 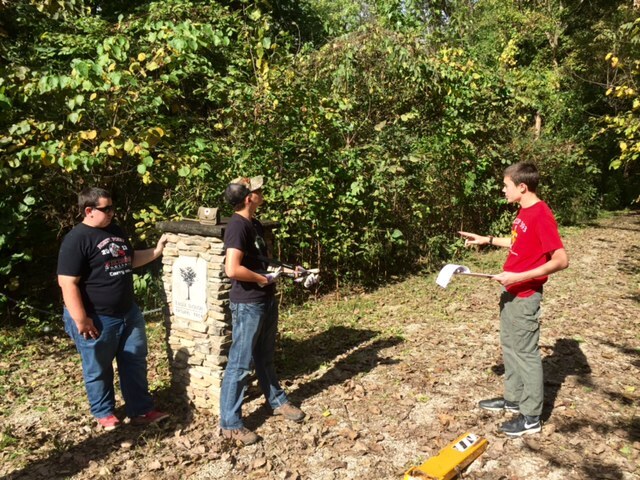 After having to close the gate to the parking lot at Eagle Slough Natural Area in Evansville last summer due to repeated illegal dumping, we were able to re-open the gate in November 2015 thanks to Eagle Scout candidate Forrest Wade. 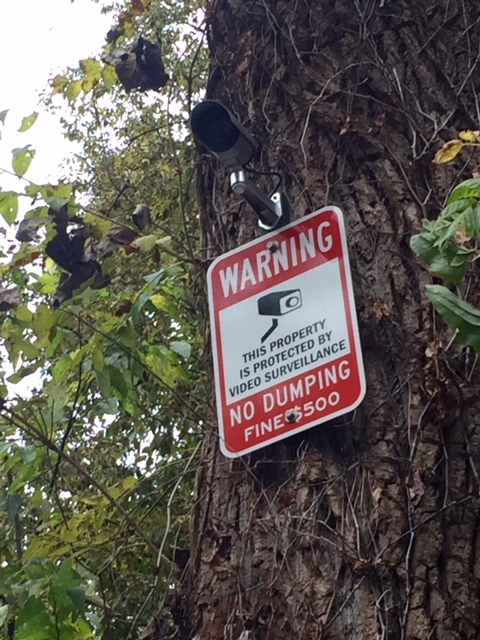 Forrest designed and installed signage and a security system at Eagle Slough in hopes of deterring the dumping. But if the deterrence doesn’t work, the cameras will hopefully catch the offenders. We are also deeply indebted to the many volunteers who have helped clean up junk piles too many times! In addition to the security project, Forrest organized a workday in which he and his father Robert, along with members of his Troop 393, cleared the summer growth from the parking lot and the entire main trail. They also scrubbed the grime off all the signage and repaired the camo on the photo blind next to Teal Wetlands east of the main trail. Forrest Wade and other members of Troop 393 spruce up Eagle Slough’s trail and signage. This is the seventh Eagle Scout project to benefit Eagle Slough. Boy Scouts and Girl Scouts have also served at many other Sycamore preserves. We sincerely thank all the amazing young scouts, their parents, and their troop leaders who give generously of their time and skills to benefit Sycamore Land Trust preserves. 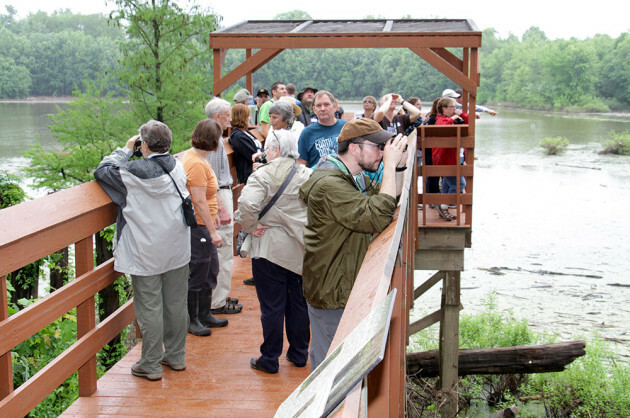 The wildlife and preserve visitors appreciate it too! So head to Eagle Slough and take a hike sometime soon! Winter is the perfect time to visit Sycamore preserves, especially if you still need to work off a few of those lingering holiday pounds! Thank you to Sycamore board member Greg Meyer for helping keep us up-to-date on the good work of Forrest Wade and Troop 393! Eagle Slough is a real gem for recreation, especially birding, thanks in large part to the observation deck and other amenities that volunteers have built and still maintain. Photo by Steve Gifford.